Advertise your store & brand with your own unique custom designed cigar bags and tobacco bags! 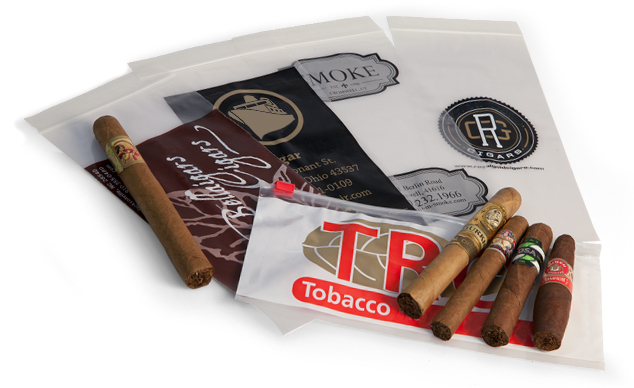 Instantly communicate your store name, logo, and business info on custom printed cigar bags. Just share your specifications below and and we'll make it happen!